 The City of Austin Brownfields Revitalization Office partners with local governments and other associations to support the revitalization of brownfields. Brownfield revitalization is a way to return a property to the community as a greenspace or as a commercial, residential or mixed-use development. Brownfields are abandoned, idle or under-utilized properties where revitalization is hindered by real or perceived environmental contamination. Brownfields are real property, where the expansion, redevelopment or reuse may be complicated by the presence or potential presence of a hazardous substance, pollutant or contaminant.